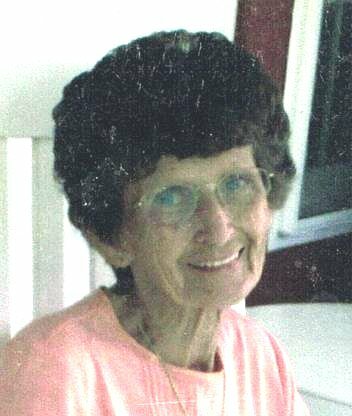 Obituary for Agnes V. Sennett | Campfield Hickman Collier Funeral Home, Inc.
Agnes V. Sennett, 90, passed away Tuesday, March 26, 2019.She was a life resident of Barberton and retired from Akron Porcelain & Plastics Co. with 38 years of service. Agnes was a lifetime member of Barberton All Sports Boosters and was a member of St. Augustine Catholic Church.Preceded in death by her husband , James Sennett; son, Kenneth Sennett; parents, Annie and Joe Shearer; brothers, John Shearer and Andrew Shearer; sisters, Patty Turner, Mary Anne Conti and Regina Kreyenbuhl and son-in-law, Stephen Kaisk. Agnes is survived by her daughters, Cynthia Kaisk and Patty Metz Sennett; sons, James (Vicki) Sennett and John (Lavonne) Sennett; grandchildren, Steven (Kim) Kaisk, Robert (Darlene) Kaisk, Bryan (Monique) Kaisk, Wayne (Michelle) Metz Jr., Kennth Metz, Michelle Sennett, Nicole Sennett, Auston Sennett, Evan (Gianna) Sennett and Allison Sennett; numerous great and great-great-grandchildren; sister, Betty Frame; along with other relatives and friends.Mass of Christian Burial will be held Saturday, March 30th at 10 a.m. at St. Augustine Catholic Church, 204 Sixth St., N.W., Barberton 44203. Burial at Holy Cross Cemetery. Agnes’ family will receive friends on Friday, March 29th from 4 to 7 p.m. at the Campfield-Hickman-Collier Funeral Home, 566 W. Park Ave., Barberton 44203 and also from 8:30 a.m. to 9:30 a.m. on Saturday at the funeral home.In lieu of flowers donations may be made to Barberton All Sports Boosters, 555 Barber Road, Barberton, Ohio 44203 in her name.